Corset A-line wedding dress with the lace-up back. The main materials are royal satin, taffeta, tulle, euro-grid and lace. 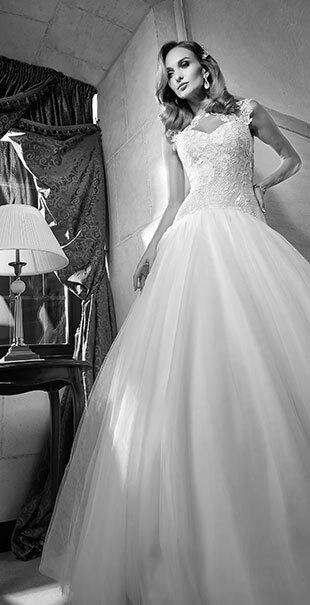 The corset of the dress is covered with lace that flows into the straps and skirt of tulle.